Presently Serving - August 2, 1990 - present. 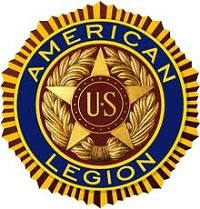 We are proud to announce the creation of the first American Legion license plate for the state of Florida! Each plate costs $35.50 with a portion of the proceeds going to support the Florida American Legion Boys State Program, Gilchrist Fund and other veteran support services. Before production can begin, we need your help to pre-sell 1,000 vouchers!